Intel's been quiet about its super-fast Optane memory and SSD products, but a few emerging details may hint at how they could be used in products like Apple's MacBooks. Optane is a brand name for a new type of memory and SSD based on 3D Xpoint, a technology jointly developed by Intel and Micron that can be 10 times denser than DRAM, and 1,000 times faster and more durable than flash storage. The soon-to-be-released 3D Xpoint technology will be compatible with NVMe, a super-fast storage protocol that could help Optane achieve its blistering speeds. Some MacBooks already have NVMe-based SSDs, and Optane could provide a further speed boost. Apple is among the first vendors to implement the latest laptop technologies and may jump at the chance at putting Optane in its MacBooks. Apple was the first to implement Thunderbolt and processor technologies from Intel. The first Optane products will likely be SSDs and reach enthusiasts' PCs next year, then spread to other desktops and mobile products. Optane memory DIMMs, which can be plugged into existing memory slots, are also coming. Some Windows laptops also have NVMe storage, but most still rely on the older and slower SATA interface. Enthusiast desktop users like gamers are early adopters of new technology, and many will likely move over to Optane. Optane products will be initially based on Intel's Skylake architecture. If Intel ships memory DIMMs, they will need to be compatible with the DDR3/4 DRAM bus that is in most PCs today. Optane's compatibility with NVMe was revealed during a session focused on Lightning, an open-source storage design, at the OCP U.S. Summit in San Jose, California. Lightning, developed by Intel and Facebook, provides flexible storage in which capacity can be cranked up depending on processing needs. Optane could drive changes in server designs and in application processing. Servers could have more capacity for in-memory applications like SAP HANA or 3D Xpoint memory, and SSDs could be decoupled into separate boxes. Separating storage, memory and processing resources could help reduce data center costs. Intel has a data-center architecture called Rack Scale that focuses on decoupling those resources. 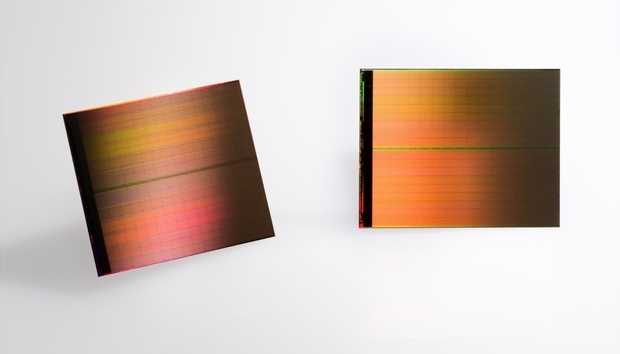 With 3D Xpoint technology, memory cells sit in a three-dimensional mesh. The structure allows data to be written in small sizes and at much faster speeds. « Facebook aims to kill banner ads, but will the industry follow?